Lee Pui Ming's music is about going beyond boundaries. It is about transcending the myriad genres, niches, and pigeonholes that trap music and seek to name it and tame it. Lee Pui Ming is accustomed to being defined as indefinable. Critics, presenters and audiences often ask: What kind of music do you play? Is it classical, jazz, world music, folk music? Lee Pui Ming could simply answer - Yes! For all these styles have contributed to her compositions and improvisations. What does she play? European, North American and Asian music from the most traditional to the most contemporary; music that is sometimes composed and often improvised; music that uses the voice, body and piano in unorthodox ways that challenge preconceptions about what music should be. Lee Pui Ming plays music of her own creation that is filtered through the mind, hands, and voice of an uncommonly fearless artist determined to make her very own way in the musical world. Lee Pui Ming was born in Hong Kong. Her mother was a voice teacher who taught popular Chinese songs. At the age of three she started to study piano. In 1976, she left Hong Kong for music studies in the United States, acquiring a bachelors, masters, and most of a doctorate degree. There she discovered jazz. McCoy Tyner and Herbie Hancock joined Prokofiev and Bartok in her galaxy of influences. But as she grew musically, Pui Ming decided she wanted to make her own music rather than reading the scores of others. In 1985, Pui Ming came to Toronto and a new life as a composer, teacher and performer. In Toronto all the music in her head came together - Chinese traditional and pop music she had heard growing up, the European classical music she had spent almost her entire life studying, and the jazz she had been listening to more and more of. She finally found the freedom and confidence to play on the keyboard what she felt in her heart. In 1991, she released her first recording, 'Ming'. She was launched. The years since that debut have been good ones. In Toronto, Winnipeg, Montreal, and Vancouver, Pui Ming found other experimenters, other refugees from the predictable. She also found audiences at festivals and concerts, from Whitehorse and Halifax to Berlin and Zurich - audiences who "got it", who were prepared to open their ears to something unusual and special, music that defies all borders. In Vancouver she met the Vancouver Chinese Music Ensemble and percussionist Sal Ferreras, with whom she toured and recorded, winning a JUNO nomination for their recording. In 1999, she made a long journey to different regions of China where she studied, composed and recorded with Chinese traditional artists. The result, 'Taklamakan', won rave reviews, including the "Top Ten of 1999" list of Vancouver's Georgia Straight. In Toronto, she has performed with percussionist Mark Duggan and violinist David Prentice, and composed for and played with Forty Fingers Saxophone Quartet. Montreal's musique actuelle community has embraced her. She has worked with luminaries including Jean Derome, Pierre Tanguay, and Rene Lussier and recently has collaborated on a number of performance projects with saxophonist/vocalist Joane Hétu. 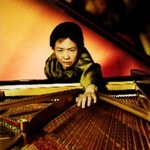 In 2002, Pui Ming released her latest CD, a series of improvisations, mainly for solo piano, voice and miscellaneous objects. 'who's playing' was released on Montreal's Ambiances Magnetiques label and is finding a rapturous reception both at home and abroad. "Une revelation-ni plus, ni moins!" (A revelation-no more, no less!) is how one reviewer from France summed it up. The same year, in February, she presented her CD launch concert in Toronto before heading west to play a series of solo concerts in small Manitoba and Alberta communities in March. April was taken up with the creation of 'Hundun'. It marks the most ambitious project Pui Ming has yet undertaken. Based on an ancient Chinese legend, 'Hundun' features eight musicians and dancers. 'Hundun' played for three nights in Toronto in May and was performed at the Guelph Jazz Festival in September. In May, Pui Ming also performed at the Musiques de creation festival in Jonquiere, Quebec, and at the Canvas festival in Montreal. In June, she returned to Montreal to perform at the first Off Jazz festival and in October her commission for solo zheng was premiered at Vancouver's New Music Festival where Pui Ming gave her own solo piano concert as well. In 2003, Pui Ming composed the music and performed in a commission from the CanAsian Dance Festival (Toronto). Shortly after, she gave a concert of composed and improvised quartet music in Toronto before heading off for a successful nine-town tour of Saskatchewan that was sponsored by the Organization of Saskatchewan Arts Councils. The rest of the year, she was busy fulfilling commissions from Kokoro Dance (Vancouver) and The Evergreen Club Gamelan Ensemble (Toronto). 2004 saw the premieres of commissions from erhu virtuoso Chen Jiebing (San Francisco) and The Hong Kong Chinese Orchestra. In the fall, Pui Ming performed improvised music concerts at the "suddenListen" series in Halifax with Norm Adams (cello) and Erin Donovan (percussion) and in Montréal with Jean Derome (sax/flute) and Joane Hétu (sax and voice). She also showcased her music in CAPACOA and CINARS.